Do you know a coffee lover or a barista you want to surprise? It doesn’t have to be Christmas or the anniversary to scout for a perfect gift idea for the coffee aficionado you want to impress. Most of the times finding the perfect gift can be daunting, particularly if the person you are planning to give the gift is an expert and you are not. And with the holidays here the pressure ramps up! 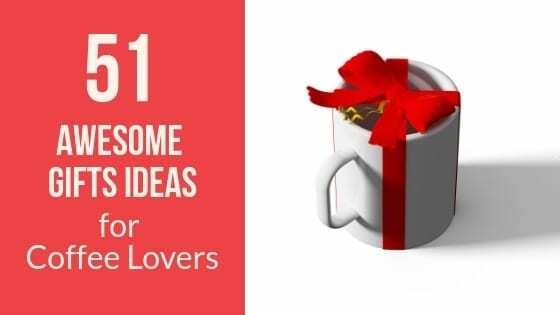 With this in mind, we have listed below 51 awesome gifts for coffee lovers. We scouted various ideas for all the price ranges that every coffee lovers would love to receive. Just a quick note before you read further: most of the links provided throughout this article are affiliate links.  If you decide to make a purchase using these links, SoloEspresso will earn a commission at no additional cost for you. And now time to pick your next gift! These are the ideal gifts for that friend who's always so busy, yet can't start the day without the morning coffee ritual. Any coffee lover would love to have one Keurig Coffee Maker at home, especially those who are always on-the-go! This Keurig machine makes a strong, intense, and great-tasting coffee in less than a minute. It also has buttons for 4 different coffee sizes: 6, 8, 10, and 12 ounces, and comes with an energy saver. And you'll never worry on what type of coffee they prefer because there over 400 varieties of K-cups readily available. This thoughtful gift will definitely give them a great start in the morning, and a great coffee, too! Just when we thought that we can only enjoy a hot cup of coffee either at home or in a coffee shop, Cauldryn Coffee Travel Mug allows us to sip hot coffee anywhere! Unlike any other mugs, Cauldryn not only helps keep the temperature of coffee, but it can also be used to prepare a freshly brewed coffee. It has a 10-hour battery life that can be used for boiling and heating. And lastly, Cauldryn also comes with a blender, so aside from coffees, they can also enjoy smoothies! If your friend craves for an espresso every time, yet you have a limited budget to give him/her an espresso machine, you can have Handpresso as a present for them. A Handpresso Espresso Machine Outdoor Set is a very compact version of a traditional espresso machine. Plus, the Handpresso doesn't need electricity or plug, which makes it great for outdoors. Its size and weight are similar to a portafilter, but it's enough to make a freshly brewed espresso anytime, anywhere. You can actually bring Handpresso anywhere, it fits in a backpack or a shoulder bag, and it's user-friendly. It comes in a hand-carry light-weight case containing 4 espresso cups, a portable thermos, and microfiber napkin. The Intense Portafilter is an accessory of the Handpresso, it helps in making stronger and bolder espressos. If your friend already has a Handpresso, receiving an extra Intense Portafilter would be nice! Another great gift option for a coffee lover is the Nespresso Vertuo Coffee and Espresso Machine by De'Longhi. This espresso machine will make sure you drink espresso on time, as it only needs 15-20 seconds of warm-up time. It saves you so much time learning how to grind and how to tamp, you'll only have to use 2 buttons! And in less than a minute, Nespresso will let you enjoy a great-tasting espresso topped with golden brown crema. So, what's the difference of this espresso machine to the previous one, Nespresso Vertuo? Aside from making great-tasting espressos, Nespresso Lattissima can also make bold and beautiful cappuccinos. It comes with a Rapid Cappuccino System that steams, froths, and pours the milk on your espresso! Imagine giving this to a loved one during the holidays, it's just really one of the best gifts for coffee lovers! And they will surely remember you every time they make a coffee using their Nespresso Lattissima. And if you've seen that your friend already has a Nespresso Coffee Maker sitting on their countertop, here's an awesome gift idea: Nespresso pods! It will surely make them smile, because who would not want to receive a three month's worth of coffee? Don't worry if you don't know their favorite Nespresso flavor, just give them this complete pack, it has all the 6 available flavors. It's very thoughtful, and you can all have a coffee party after the holidays! The Miele Coffee System is one of the ultimate gifts for coffee lovers, it's a modern-day fully automatic espresso machine. It is both luxurious and a highly-functional coffee machine that provides pre-heated cups for every user. Also, Miele can make two rich, flavorful, and personalized espressos when you press the button. It's definitely a combination of class and convenience, and coffee lovers couldn't ask for anything more! Looking for a present for someone who loves coffee and traveling, rather someone who loves to drink coffee while traveling? I think CISNO Automated Portable Espresso Machine would be a lovely surprise for them. Despite its small size, it is powerful enough to make up to 80 cups of espresso in a single charge. Also, it's compatible Nespresso OriginalLine pods, so it's hassle-free too. Unlike CISNO and Handpresso, this one is a portable brewed coffee maker. This small equipment has a coffee grinder, filter, drip kettle, and a tumbler in one! You just need to bring whole beans and water with you, and this equipment will give you a freshly brewed coffee anytime, anywhere. So, if he/she loves to go camping, hiking, or backpacking, this one's a very handy gift they can bring wherever they go. Also, it doesn't need batteries, or power source to operate, it functions well on its own. Forget about the fully automatic coffee makers, some people prefer to prepare it the old-fashioned way. And we can't blame them, the traditional way of preparing and drinking coffee will never lose its appeal, it will always be romantic. Of course, French Press is one of the most traditional ways to brew your coffee at home, and it's on top of this list. It's an elegant piece of coffee maker that never gets old, with a touch of European style to make it extra special. Oh, who can resist the smell of a freshly brewed coffee with a lovely sight of elegantly pushing down the coffee grounds? When you're unsure if they like drip coffee, espresso, or cappuccino, give them a machine that can do all that: DeLonghi BC0330T Combo. If you will prepare a drip coffee, you will need to use freshly ground coffee beans, and let DeLonghi Combo brew it for you. And if you will prepare an espresso, this machine doesn't use pods or k-cups, you have to use a portafilter and ground coffee. Also, when making a cappuccino, you will have to use the Swivel Jet frother, a feature of this machine. This machine is an amazing combination of drip coffee maker and espresso machine, plus it helps in saving counter space. How do you know if a gift fits a traditional coffee lover? Clue: Traditional coffee lovers appreciate doing things manually, and they actually get excited about doing it! And that's the beauty of the ROK Presso Manual Espresso Maker, you'll do everything manually. It doesn't need electricity, battery, or any power source, you make espresso with the pressure from your arms. Doing things manually doesn't mean you can't do it in style, with La Pavoni Europiccola Lever Style Espresso Machine, you will never be short of elegance. It's one, if not the most sophisticated espresso machine in the market. And this will definitely be one of the best gifts for coffee lovers, something they will treasure! You will not just give them a great-tasting coffee, you're also giving them a very romantic espresso-making experience. The name itself, Kaldi, already sounds very interesting for every coffee lovers. Fun Fact: Kaldi first discovered coffee cherries when he saw that his goats became hyper after eating it. Anyways, the Kaldi Home Coffee Roaster gift item is not about the discovery of coffee, but it's a home roaster. It's a unique and nice present making the person feel like a coffee expert once he/she uses this! Again, traditional coffee lovers appreciate getting highly involved with their coffee. Who says traditional things can't get so exciting? The Beko Turkish Coffee Maker might feel so ancient, but it's also very fun to use. Did you know that there is a tradition about Turkish Coffee reading, as in fortune telling? The whole tradition started way back the 16th century, and there are expert fortune tellers who actually analyze the shapes and patterns of the coffee grounds on the bottom of your cup. And yes, you can surprise someone with this gift and with this Turkish Coffee trivia! It's one of the most exciting and one-of-a-kind gifts for coffee lovers. In connection with the Turkish Coffee making, it would give you more ancient vibes if you will drink the Turkish Coffee in Turkish Greek Arabic Coffee Set. Well, if your friend is after that really ancient and traditional experience, you better surprise them with this. It's like you time-traveled back to the 16th century to get this for him/her. You will see how delighted he/she is the moment he/she unwraps this precious gift. One of the go-to gifts for coffee lovers is the high-end, gourmet coffee beans, like the Hawaiian Kona Coffee. The traditional coffee lovers will always crave for the authentic taste of a coffee, its richness, flavor profile, and everything about it. If you understand how important the quality of beans is to them, you'll know that it's a great choice for a holiday present. Unlike with k-cups or pods wherein everything's already measured, traditional ones scale coffee grounds on their own. And giving a Hario V60 Drip Scale means you support them in being an expert with their favorite cup. Because consistency is still a vital part of coffee making, and a drip scale will help them with that. When you love someone, you only want to give the best possible things to them, sometimes without minding the price. And this next set will help you choose the best gifts for coffee lovers that they will never forget! Breville BES870XL is a semi-automatic espresso machine with a built-in coffee grinder. And that's the best way to prepare an espresso, by using freshly ground coffee beans. Aside from Burr grinder, this espresso machine also comes with a 54mm portafilter, 54mm tamper, thermocoil heating system, Clean Me light, espresso pressure gauge, and a 360-degree swivel action steam wand with an auto purge function. Can you imagine the excitement of unwrapping this extra luxurious gift during the holidays? If you want to spoil him/her with top-of-the-line espresso machine, the Gaggia Anima Prestige Automatic Coffee Machine would sound perfect! Since it's fully automatic, they can have coffee-shop like coffees without having to go out. They'll definitely love its large capacity, very easy to use and to maintain, and its sleek design will easily fit any countertops. Do you like to take their breath away with an ultimate holiday present? Then give them a Jura 15150 J6 Coffee Machine. Equipped with Pulse Extraction Process (PEP) that makes the best possible espresso within the shortest possible time. Plus, it also has a fine foam technology that makes great quality steamed and foamed milk. Its minimalist, innovative, and high-tech design exudes so much elegance in any countertop. If they're a huge fan of brewed coffees, receiving a Techniworm Moccamaster would make their holiday more special. It has a glass carafe, adjustable brew basket, and a hotplate that stays hot for 100 minutes, which keeps the coffee hot. This beautiful piece comes in a sleek, brushed silver color. The Hario "Technica" Syphon Coffee Maker is like a science experiment from your chemistry class. Yes, it looked like a coffee made by a genius student way back in school. But no, it's not as complicated as you might think. You can actually prepare a coffee with a syphon coffee maker in just a few minutes, in four easy steps. First, you have to add the water into the lower chamber and cover it using the top chamber. Then, place it on the heat source and wait until the water transferred to the top chamber. After that, add the coffee grounds on the top chamber. And lastly, you just have to wait for the coffee to drip down back to the lower chamber. Don't worry if they already own an espresso machine at home, you can always surprise them with a high-tech coffee grinder like this Breville Grinder. And you know that the quality of espresso highly depends on the grind size, so, it's really a thoughtful gift! Its Precision Electronic Timer assures the user with a consistent dose every time. See, not only espresso machines can be automatic, even coffee grinders, too. Another gorgeous gift option, the Yama Glass Cold Drip Maker. This makes about 6 to 8 cups of bold, acid-free, and flavorful coffee while still being an elegant piece. At a glance, you won't really think that it's a coffee maker, it looks like a classic home decor. And with a Cold Drip Maker, you will never have to worry about drinking coffee that has a burnt taste. Because preparing a cold brew means your coffee beans will never come in contact with a hot water. Contrary to the traditional coffee lovers, cool gift ideas fit most of the younger generations who like unique kinds of stuff. And a Star Wars R2-D2 French Press is one of the coolest gifts for coffee lovers! It functions very much the same with a regular French Press, but this one looks cooler. It's like a robot prepares your morning coffee, and I'm sure not everyone has a French Press like this. Who says you can only give coffee and coffee makers to coffee lovers? Coffee lovers also love to wear comfortable shorts, and we can always add coffee to make it more fun! Just like this Coffee Mug Fresh Elastic Sweatpants, it's a not-so-popular yet fun holiday present. If the person you're thinking about loves both coffee and photography, then give them this very clever coffee mug. During the unboxing, he/she might think that your gift is a camera lens. And he/she will be very surprised to find out that the camera lens is actually a coffee mug. That person will never see it coming, I think it's gonna be so fun! If your friend is a Star Wars fan, this Star Wars Comic Strip Mug will definitely make their day! They will not only get excited with the aroma of a freshly brewed coffee, but they will love to brag about their statement mug with everyone. It is microwave and dishwasher safe, and it can hold up to 20 ounces of liquid. How about drinking a strong, dark, and intense coffee in a dark and powerful mug? Give them the power to awaken the force every morning by giving them a Darth Vader Comic Strip Mug! Let them unleash the darker and stronger version of themselves while they drink the darkest beverage. This Darth Vader mug is also microwave and dishwasher safe and made of ceramic. And since it's a season of giving, why not give them three different Star Wars Comic Strip Mug: R2D2, Dart Vader, and Stormtrooper? Also, if you're feeling extra generous, why not complete these collectibles by giving the Star Wars French Press, too? I am just giving you a very cool idea because Star Wars collectibles are so nostalgic. Drinking coffee with these iconic mugs is something they can always brag about. Enough of the Star Wars fanboys, let's talk about a cool gift idea for your math teachers. Of course, a lot of math teachers drink coffee to keep them awake when solving math problems. And we can be extra thoughtful during the holidays by giving them this statement mugs, let's make them feel appreciated. This mug is another great gift option for your beloved math teachers! And I am sure only math teachers can get it, and well some students who actually take notes. Make your math teachers feel they are well-remembered, and maybe they'll be less terrifying after the Christmas break. Aside from the mug and shorts, there's also a statement shirt about coffee, it's just everywhere! If your mom, girlfriend, or sister loves coffee more than you, then they deserve this shirt. It's going to put a smile on their faces once they see what's printed on it because what's printed is true. Have you ever noticed a co-worker who usually makes coffee but ended up drinking lukewarm coffee because an urgent work came up? Well, this gift idea will make you their coffee hero, not really sure with the term. But they will love you for it. Because the Electric Personal Coffee Mug & Beverage Warmer can keep the coffee in your mug hot, longer than usual. And they can work all they want without sacrificing their coffees ever again. The gift-giving season, it’s not an excuse for not giving good quality gifts, I mean good quality beans. The bean box comes in four packs with four different gourmet coffee beans, 1.8 ounces per pack. It can make about 3 cups of coffee per pack, depending on how strong you like your coffee. And what's really nice about it is it also comes with a personalized gift note, where you can greet your loved ones. Since cold brewing starts gaining more and more popularity, it's a good idea to give away a Cold Brew Coffee Maker and Dispenser. Let your friend experiment on cold brewing, and let him/her experience a bolder and less acidic coffee. And aside from being a cold brew coffee maker, it also has a built-in dispenser that looks like a faucet. It looks great during a coffee party or something you and your friends can use during sleepovers. Unlike other French Press that's made up of glass, the Bodum Columbia Thermal French Press is made of stainless steel. Though French Press is among the classic gifts for coffee lovers, you don't need to spend a lot to get a decent one. The Bodum Colombia has a 3-part stainless steel plunger with a mesh filter. This Bodum French Press can make up to 4 cups freshly brewed coffee in just 4 minutes. If you want a very useful, unisex, and handy gift for coffee lovers, try giving them a Quiseen One- Touch Electric Coffee Grinder. As a coffee enthusiast, I know that a coffee grinder plays a significant role on the taste profile of a cup of coffee. Because the coffee made from freshly ground coffee beans always taste better than those coffee made from readily available ground coffee beans. Let me introduce the Bialetti Brikka Espresso Machine, it makes rich and flavorful espressos in about 4-5 minutes. However, unlike the fully automatic espresso machines, this coffee maker needs some practice before you can actually make a great tasting espresso. The Bonavita Kettle is a great holiday present to those coffee lovers who prefer a brewed coffee, particularly using French Press. While it is very easy to use, it can also keep the hot or cold temperature for about 60 minutes. Another unique-looking gift idea for coffee lovers and environmentalists of any gender: Reusable Stainless Steel Hand Drip Cone. This one might look new to you, but you can make brewed coffee with it in three easy steps! You just need to place this cone on top of a mug, then fill the cone with ground coffee, and lastly, fill it with hot water. The coffee will drip down towards the mug, and in just a few minutes, you can already sip your freshly brewed coffee. Some coffee lovers don't appreciate using any plastic materials during the coffee preparation, and that is understandable. They just don't want the hint of plastic taste on their coffee, some don't like the transfer of flavors from stainless steel containers, too. So, if your friend or loved one belongs to this type of coffee lover, giving them a Chemex Pour-over Glass Coffeemaker would be ideal. The Chemex Pour-over is made of non-porous Borosilicate glass, without any plastic or stainless steel part. As complex as coffees are, some coffee makers will just make you believe that everything is possible. Just like this Aerobie AeroPress Coffee and Espresso Maker, it's like a baby of an Espresso Machine and a French press. This coffee maker makes espresso by simply pressing it down, yes much like coffee-making with the use of a French Press. But this time, it's not for brewed coffee, this coffee maker actually makes espresso. Sounds very interesting! Cold brewing trend doesn't seem to die down anytime soon, so grab this chance to send your friend an Asobu Cold Brew Portable Coffee Maker. And as trendy as the cold brew, Asobu comes in bold colors: white, black, copper, and silver. Are you familiar with the song, "Twelve Days of Christmas", ever heard of it? It's a song about a true love who sends a loved one 12 different gifts for 12 days, and it's really sweet to do the same. But instead of 12 gifts, you send them 12 types of coffee, because they're coffee lovers! If your loved one or friend dreams of making their own cappuccinos and lattes at home, the Bialetti Mukka Express is a nice choice for beginners. They can always try making cappuccinos and lattes with this very simple machine. Plus, this stovetop Coffee Maker also comes in a cute cow design. When talking about the best quality coffees, there's no wonder that most people will think about Italy. Well, Italians created espresso, and they actually have the finest coffees in the world. So, one of the best gifts for coffee lovers would be a taste of Italy, the Aromistico Coffee Gift Set. This gift box has a Venezia, Roma, Napoli, and Firenze Blend, four types of whole beans with different flavor profiles. I know that when we say the best coffee, it will always be dependent on the preference of the person who will drink it. But some time in 2004, Ospina coffee has been named as the best gourmet coffee by Robb Report. You can agree or disagree, but any coffee lover would love to receive the best gourmet coffee in their doorsteps during the holidays. And to end this coffee lovers wish list, a Gourmet Snacks Gift Tote will never get old. It's filled with every coffee items that your loved ones can try one at a time. The festive basket of coffee goodies will go perfectly well with a personalized gift card. The list of gifts for coffee lovers just made me even more excited for the holidays. How about you? Which among these items sits on the top of your wish list for the holiday season or which one made you think to your favourite coffee aficionado? Let's us know what is you to-go present! Previous Post Is Turkish Coffee Stronger than Espresso? Next Post What are the Best Coffee Makers for K Cups?